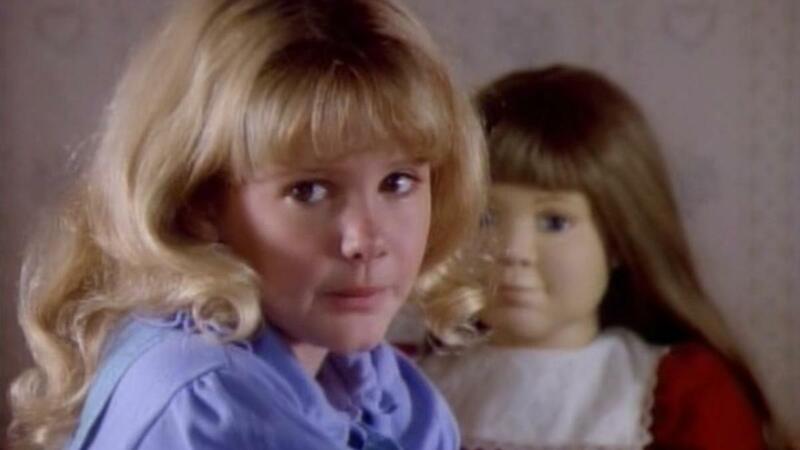 An American family moves to Mexico to fabricate dolls, but their toy factory happens to be next to a Sanzian grave and the toys come into possession of an old, malicious spirit. Who doesn't love a good Horror featured on an evil doll? 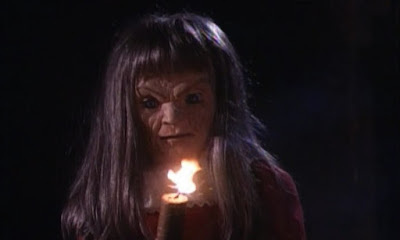 Unfortunately for me I stumbled across this film a little to late, I'd already seen a bunch of killer doll films such as "Child's Play", "Puppet Master", "Demonic Toys", "Magic", "Dolls" and the like. 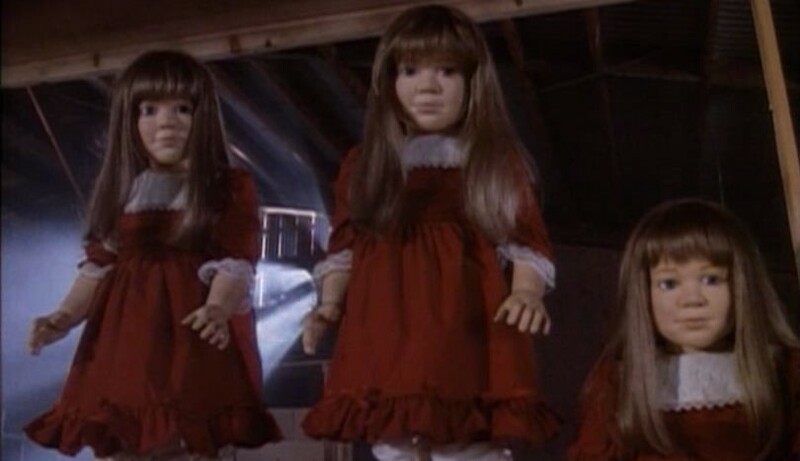 So when I discovered this film the whole killer doll thing was nothing new to me but I still wanted to give it a go. The film itself was very predictable and because of this it bored me quickly, like I already said I'd already seen a bunch of killer doll films, so none of this was new to me. I didn't watch it again for years until quite recently when I decided that I needed to give this another viewing to freshen up my memory on it. From the beginning there's one thing that's glaringly obvious, this film has really not aged well, The story stays at one pace throughout an it honestly looks like a made for TV movie. That stuff doesn't bother me though but I know it that could put others off, personally I love the aged look sometimes, it can help add a certain creepy vibe to a feature. For a lower budget film the script is actually very well written, especially the daughters role, but each character brings something different that makes it more fun to watch. It makes you wonder what could've been accomplished if it was given more financial backing but it did very well with its constraints and I applaud it for that. 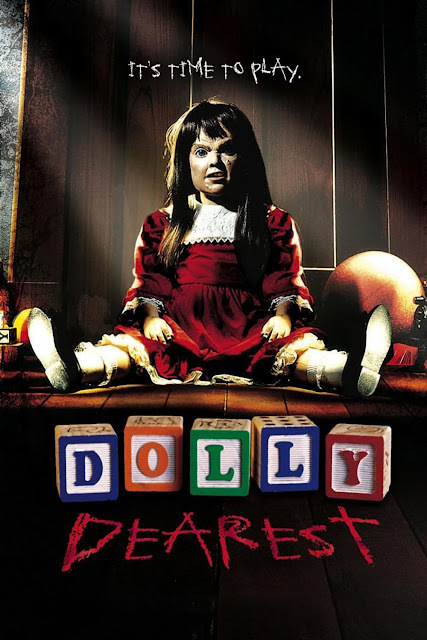 "Dolly Dearest" makes for fun lazy Sunday afternoon viewing, just don't expect anything great and just enjoy it for what it is. John Borowski Needs Your Help!